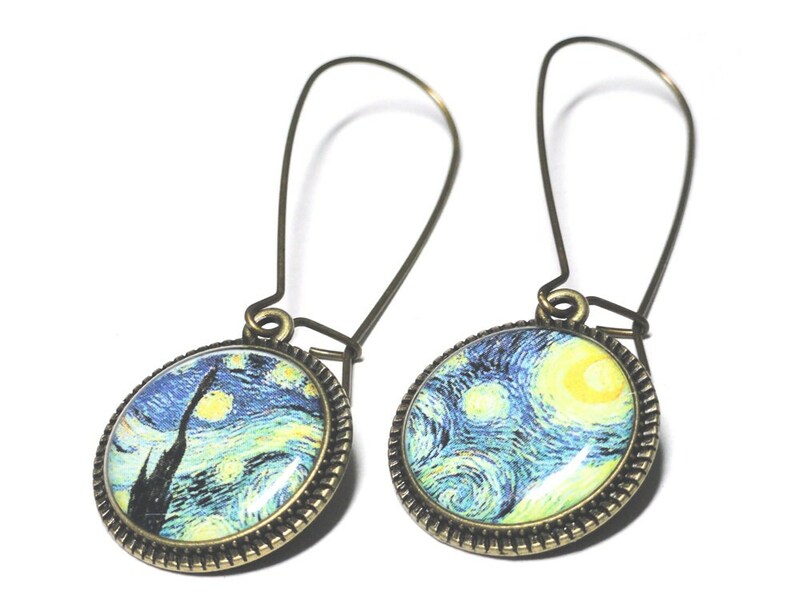 These lovely Starry Night earrings measure 3/4" and about 1.5" total drop including the ear wires. 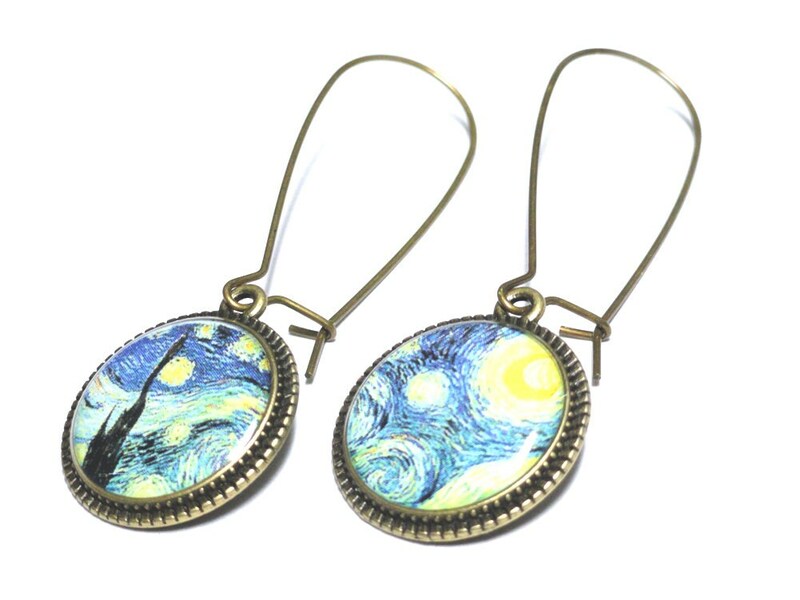 The earrings are made using only the finest jewelers grade resin in order to preserve and enhance the professionally printed images. 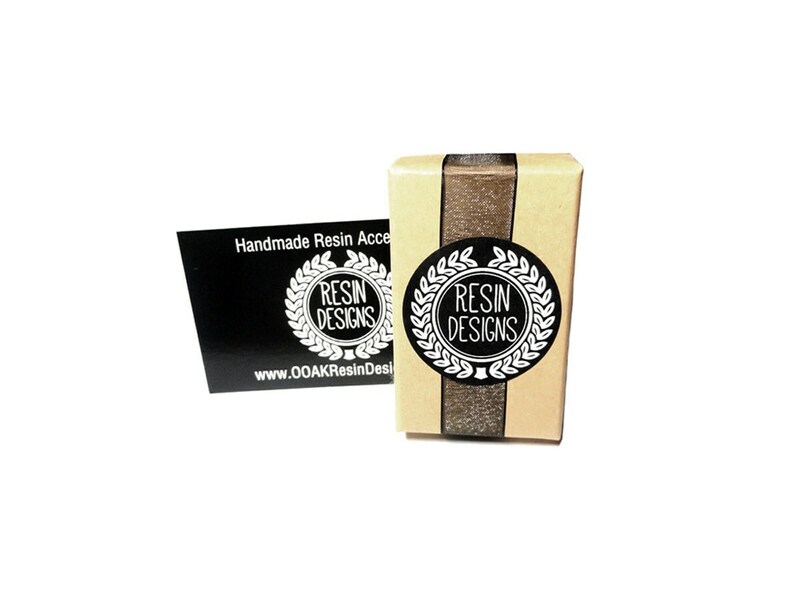 Please select from a antique bronze as shown or silver finish at check out. 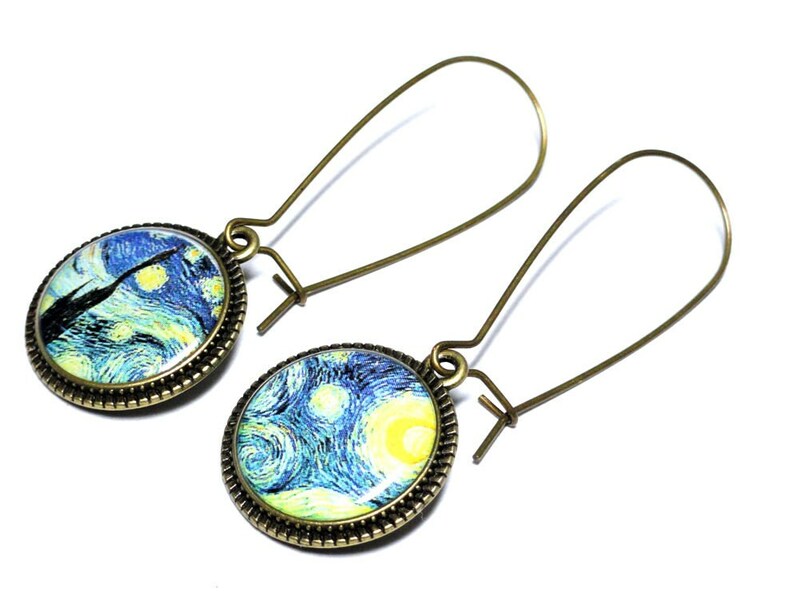 Beautiful earrings! And thanks for the hair pin!